to a spice/herb blend can take it from so-so to Wow! Making your own spice and herb blends is fun, easy, economical and it’s great way to experiment with spice and herb combinations. You can add the spices and herbs that you and your family like. Just think…..if you order 10 or more different spices and herbs, you could possibly make up to 20-30 different spice and herb blends and depending on what kind of blends you make, you will be able to eat the cuisine of another country twice a month for up to a year! Not only that, spice and herb blends make excellent Christmas gifts. Perfect gifts for your kids teacher, your co-workers, and that grill master in the family. Recipe Note: If you are lucky enough to have a dehydrator, you can make your own garlic powder, onion powder, dried onion, dried garlic and dried red and green bell pepper too. If at all possible use organic fruit. Wash and dry all fruit before using. Remove any stickers, brown spots and any other unwanted blemishes. Using a micro-plane, zest fruit…leave the white pith behind. 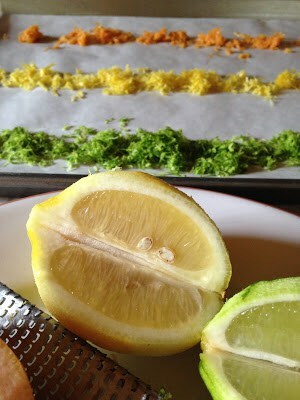 Spread zest in a single layer on a sheet of parchment paper. Leave it exposed to the air, in a draft-free area until zest is dry and becomes brittle. 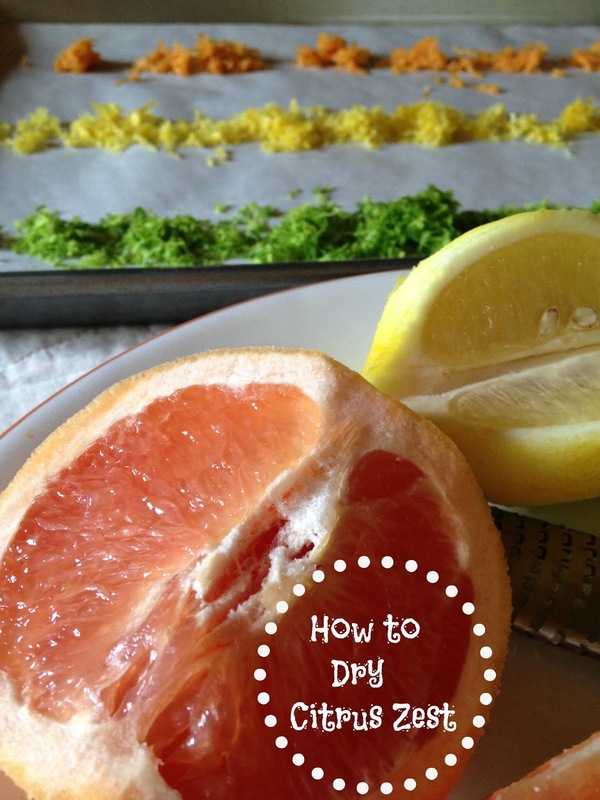 12 hours up to 2 days* *Drying time will vary on the amount of zest you have, climate conditions and type of fruit. * For example: Grapefruit takes longer than limes. 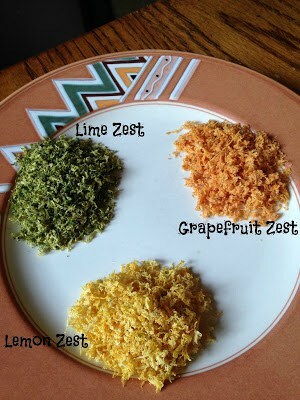 Using a microplane, zest lemon(s), lime(s), orange(s), tangerine(s) or grapefruit(s). Set zest aside. Place the zest in a freezer baggie, label baggie and place in the freezer until needed. Pour the juice into ice cube trays. Freeze the juice in the trays until frozen. Remove the cubes from the trays and place the cubes in freezer baggies, label and place in the freezer until needed. 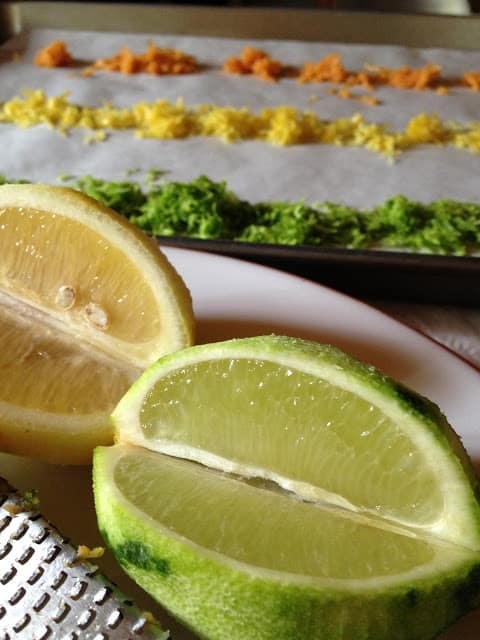 When a recipe calls for fresh squeezed citrus juice or zest, you’ll have it ready and in your refrigerator.